How to plan the perfect shore excursion in the Cayman Islands. Make your Stingray City tour be one to remember. Planning your next vacation to the Caribbean? Fancy all the tales you have heard about the warm sun and sand as well as that extra bit of magic the Caribbean Islands is known to conjure every now and then? Then this article is just the guide you need to making your vacation “a trip to remember”. There is arguably nothing more hurting than going to a place of fun like the Caribbean Islands and missing out on the actual fun which is why next to choosing your travel dates wisely, your destination in the Caribbean should be your priority. While the Caribbean is an absolutely beautiful place lush with Islands that stretch over 1700 miles of the Caribbean Sea, not all Caribbean Islands are the same. Each Island offers a unique personality, popular activities and touring offering. However, for a person looking to maximize your vacation (especially if you’re on a budget and cannot scout the 1700 miles in search of the best spot), you would do well to take our advice before you choose your island destination. Decide which activities (Stingray City Cayman Islands activities) you most want to do on your vacation; whether it is snorkeling, shopping, beaching, or sightseeing. However, visiting the Cayman Islands and Stingray City precisely promises to offer a healthy dose of all that can be found on other islands as well as a close-up experience with the shockingly harmless stingrays of Stingray City. 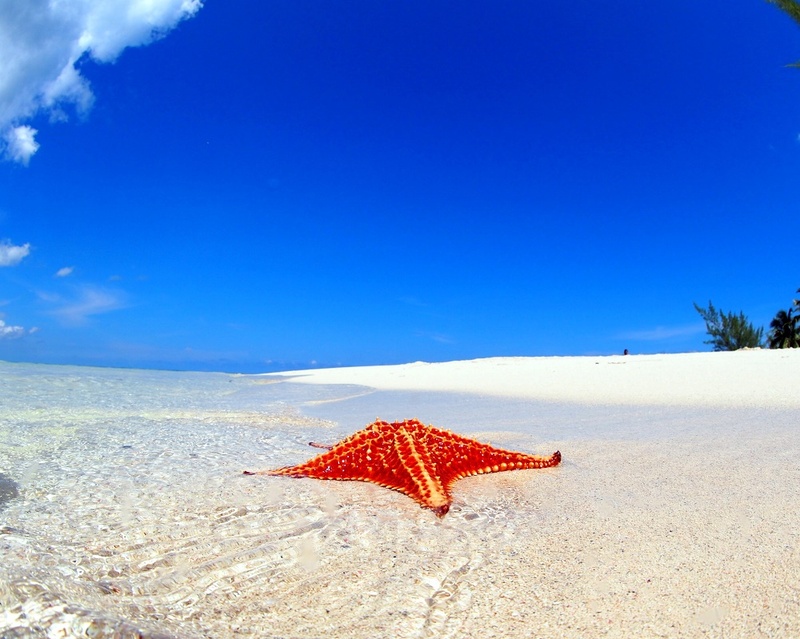 The Cayman Islands encompass 3 islands in the western Caribbean Sea with its largest island Grand Cayman popular for its exquisite beach resorts, varied scuba diving, and snorkeling sites, tourists are spoilt for choice. Meanwhile, Little Cayman, the smallest island, is also home to diverse wildlife ranging from endangered iguanas to seabirds like the red-footed boobies. Tucked away in the North Sound area of Grand Cayman, Stingray City is the most popular attraction on any of the three Cayman Islands. 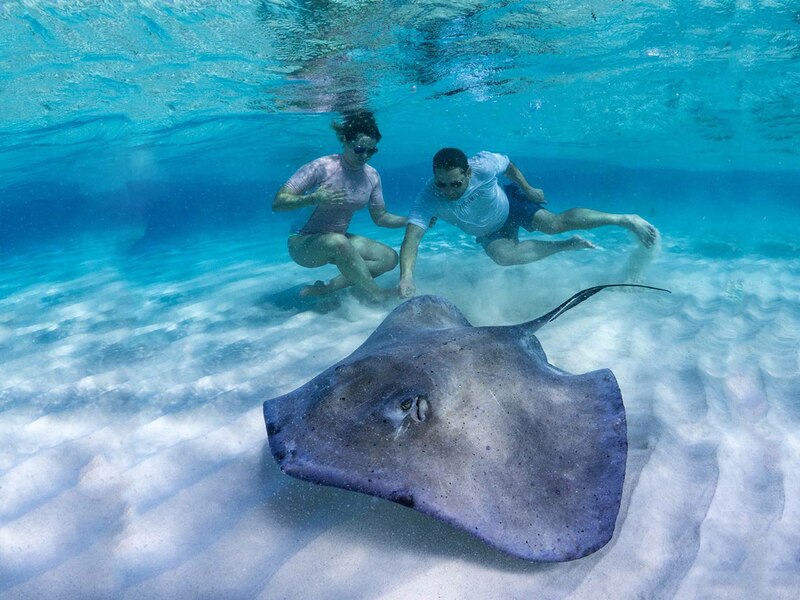 While travelers say Stingray City a tourist trap, they also attest to the fact that Stingray City tours are undeniably an absolute “must-do” for any visitor to Cayman and indeed the Caribbean. Stingray City which lies in 12 feet of water has grown to become home to some 90 Southern Stingrays and these wild yet gentle and graceful creatures roam free and interact harmlessly and seamlessly with tourists in the North Sound, a 35 square mile area of ocean protected by the reef. These beautiful creatures by cohabiting with humans without posing any threats whatsoever have been known to enchant even the most seasoned travelers. Still looking for more reasons to visit Stingray City? While the shallow water (ideal for snorkelers and divers) at Stingray City is often touted as the best 12-foot dive in the world, the real prize winner is actually the Stingray City Sandbar. Most Stingray City visitors are taken here. The water is just 2-4 feet deep, so even non-swimmers can safely stand in the shallow water, surrounded by stingrays. The sandbar is suitable for all ages and offers the best photo opportunities. Ever wanted to kiss a Stingray? A major reason Stingray City is the best attraction in Cayman Island is the opportunity tourists have to interact with the rays. A phenomenon unique to Stingray City. Naturally, the rays at Stingray City love to be petted and fed. With the aid of simple instructions from the Stingray City Tours crew you would quickly learn to interact with these amazing creatures and chances are, if you are up for it, you could get to feed and even kiss them. Stingray City Tours usually last a few hours with each trip combining a snorkeling stop at Coral Gardens (a perfect location to feed and capture images of Cayman's beautiful coral reefs and colorful marine life), Starfish Point or snorkel Tour. So don’t just plan a vacation… Plan a vacation to the best place in all of the Caribbean. Company: Stingray City Cayman Islands Ltd.